The fight against illegal fishing has received a massive boost with the recruitment of an additional 150 anglers to the Angling Trust’s Voluntary Bailiff Service (VBS). Following induction days held in six regions throughout the past three months, there are now 474 volunteer bailiffs operating in England who act as the “eyes and ears” on riverbanks and lakes, reporting suspicious incidents and providing crucial information to the Environment Agency and police. The VBS is funded from rod licence money and began as a pilot project in the South East in 2012 following a formal partnership between the Environment Agency and the Angling Trust. It was rolled out across the country 12 months ago and now has 115 volunteers in the South East, 58 in South West, 51 in North West, 80 in North East, 90 in the Midlands and 80 in the Eastern region. The volunteers receive training from Environment Agency enforcement officers and the Trust’s Fisheries Enforcement Support Service – a team of eight retired police officers, six of whom also manage the VBS network in their regions. 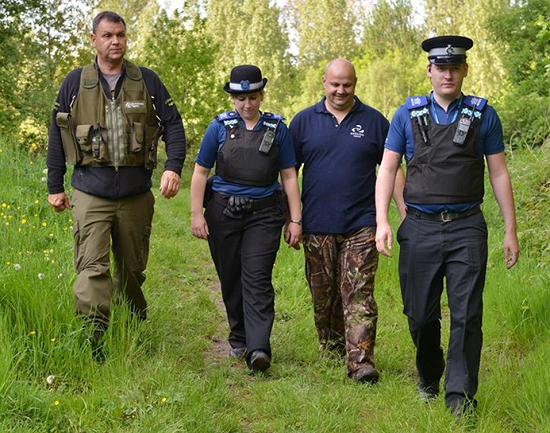 Volunteers also have the opportunity to attend joint patrols with the Environment Agency and police, understand the law and are trained in reporting what they see and hear to a high evidential standard.